Science fiction loves a story about robots rising up and taking control – consider Will Smith’s iRobot – but how realistic are such visions of the future? The "red button" – or "kill switch" as it’s been termed – adds to the debate on the long-term risks of AI. 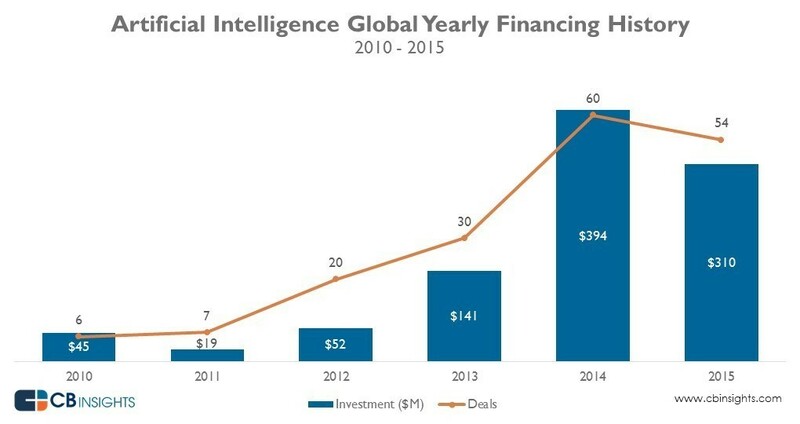 Funding to artificial intelligence start-ups has increased nearly sevenfold in just five years. From US$45m in 2010, it hit $310m in 2015. Investment in 2014 was even higher – 60 deals worth $394m were recorded, according to CB Insights . Interest in AI has also spiked following AlphaGo’s victory over a top human player at Go – an ancient Chinese board game, said to have more possible configurations than there are atoms in the universe. But with prominent voices, including Stephen Hawking, Elon Musk and Bill Gates , cautioning on the risks posed by the technology, it’s not all rosy. As a number of different researchers have now begun to ask, what happens if AI machines go rogue? The DeepMind and Oxford University team argues that learning agents are unlikely to “behave optimally all the time” given the complexities of the real world. In a reward-based system, if the operator prevents the machine from performing an action for which it expects to be rewarded, it may learn to avoid such an interruption. It is therefore important to ensure these machines can be interrupted – without them learning to disable or circumvent the red button. Meanwhile, a roboticist at the University of Berkeley has built a robot that can decide whether or not to inflict pain. Alexander Reben argues that it shows harmful robots already exist, and so some of the issues surrounding AI need attention now. The robot is nicknamed ‘The First Law’ after Isaac Asimov’s first law of robotics, which states that a robot may not hurt humans. Mr Reben described his robot as a “philosophical experiment”. What if robots decide they want to take control?